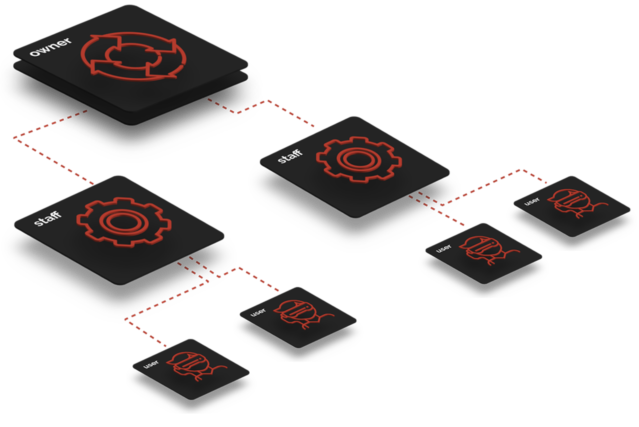 Everything you need to manage your Esports center efficiently is here! from any part of the Globe. Flexible business solution. We want your business grow with us! Using efficient marketing tools: loyalty system, flexible pricing, communication with client, etc. Monitor loading, provide different access level, distribute licenses, etc. 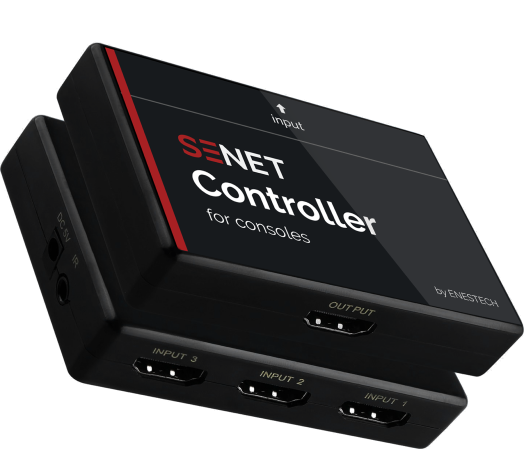 Senet has created own hardware solution for console management. A small device connected to the console allows every visitor to pay the time, control the process and prolong the usage in a few easy steps. In addition, every console can be marked with a special QR-code for every visitor to log into the system with any mobile device. Even without the administrator's help. When the console is not used by the visitors, it can be switched to the other channel that will broadcast internet center’s video, partners or events advertisements. In addition, every console can be marked with a special QR-code for every visitor to log into the system with any mobile device. Even without the administrator’s help. Administration has never been that easy. 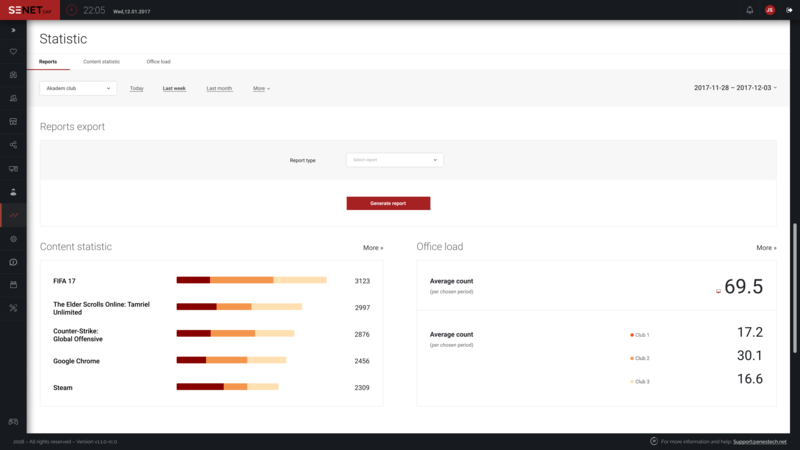 Up-to-date solution to manage your Esports center efficiently. Interactive map has two operation modes (management & technical) and scaling options. Web cash desk allows tracking all the financial transactions, related to clients’ sessions. You can see the history of all transactions, time, amount, check number, total amount of the day. Get the most relevant information about the club’s loading and analyse content usage data in the statistics tool. 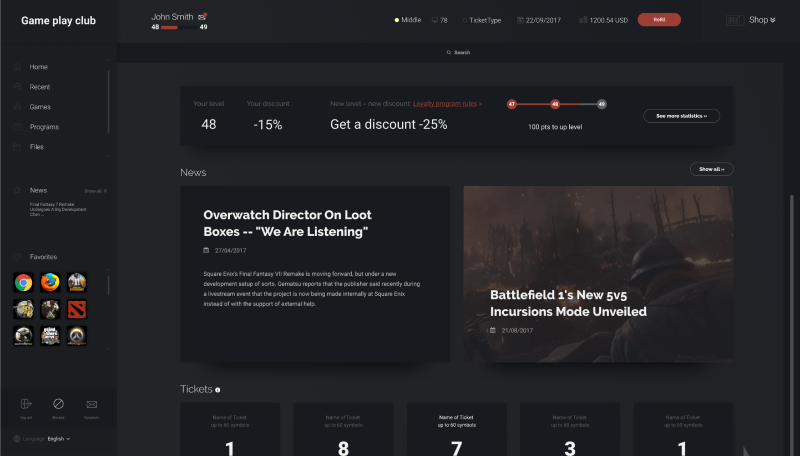 When the console is not used by the visitors, it can be switched to the other channel that will broadcast gaming center’s video, partner’s advertising or event announcement. You can manage your subscription in your personalized cloud-based customer portal. In one click your organization will get an access to the SENET ECP, where all the data, settings are securely stored. Choose your plan, set clubs’ network, control subscription payments. Administration has never been that easy. Up-to date solution to manage your Esports center efficiently. Web cash desk allows to track all the financial transactions, related to clients’ sessions. You can manage your subscription in your personalized cloud based customer portal. In one click your organization will get an access to the SENET ECP, where all the data, settings are securely stored. Our pricing is flexible, choose your perfect solution! Please, make sure you put the country code while entering your phone number. In 2016 I decided to start a new gaming center in Odessa. I thought it to become a place that will unite all the gamers, not only separate players. One can not only play here, but also watch tournaments broadcasts, or stream games on Twitch. Senet helped me to start this cybercafe in 2 days! There were no long settings. Just buying PCs, deploying the soft and we were ready to welcome new visitors. And the working process can be monitored from any place with Internet connection. Twitch coordinator in CIS region, owner of the Skill gaming center. When I got to know about Senet, I’ve already had 4 gaming centers, that implied great resources both financial and in staff. Now with ENESTECH we arranged the feedback system with the visitors. All the offers are sent right to the company’s account. We always know what we need to improve and what game licenses to buy. And constant visitors are motivated to come more often because the price for them is lower due to high level in loyalty system. Also it is convenient that we can add or remove a game from the menu on any computer in a click, without the necessity to call a technician and set every PC separately. IT-Land gaming centers network manager. I was waiting for so long when such modern soft will appear on the Ukrainian market so it will totally set me free from all operating control of my business, and will also optimize and automate the workflow of my club. Previously, I was using astalaViSta Software for such purposes, but it was not supported since 2008 and had so many bugs, that the administrators could make all cash operations off the books, and take almost 50% of all the income. I’ve started working with SENET in 2017. Really happy with the tech support team: working 24/7, giving immediate replies, managing all software installations and taking care of updates. The platform has modern and user-friendly interface. High performance and speed. Convenient map of the club, the statistics and financial reporting module is great as well. The client panel has a high level of personalization (you can see the history, loyalty program dynamics and balance). 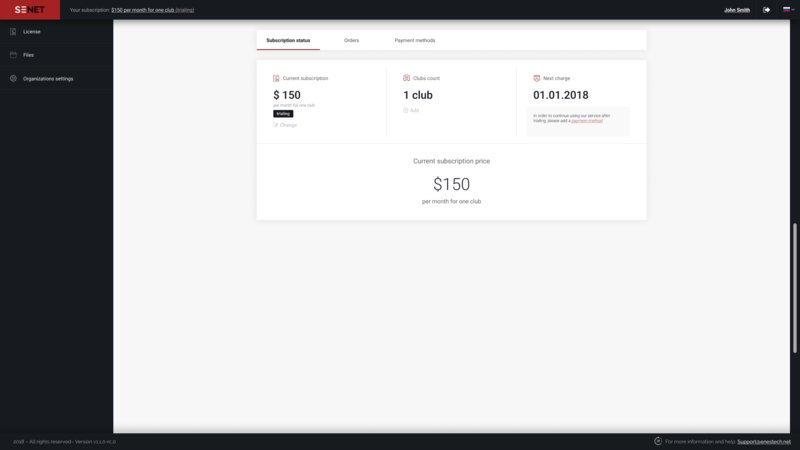 And you can also customize the interface and make it branded for your own club. We’ve started working with Enestech Software in April 2018. It was not the common situation that we had, because we’ve wanted to open the VR-club, not just a simple computer club. So guys did all needed modifications really quick and implemented it in the club that already was working. Awesome tech support that replies immediately. Thanks for the good work! Shortly our manager will contact you to agree on presentation time that suits you best.